The best way to preserve your vision is to have an annual comprehensive eye exam. 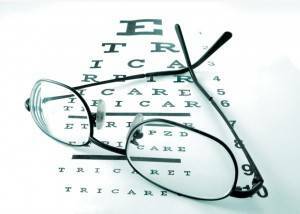 Your annual eye examination is much more than a test to determine a prescription for glasses or contacts. In addition, he will check your eyes for common eye diseases, assess how your eyes work together as a team, and evaluate your eyes as an indicator of your overall health. We always allow ample time so you don't feel rushed. A Comprehensive Eye Examination includes a number of tests and procedures to examine and evaluate the health of your eyes and the quality of your vision. These tests range from simple ones, like having you read an eye chart, to complex tests, such as using a high-powered lens to examine the health of the tissues inside of your eyes. Eye Health Evaluation includes checking for cataracts, glaucoma, and macular degeneration as well as certain systemic diseases such as high blood pressure and diabetes. Digital photos are available which provide an in depth look of the surface of the eye, and allows us to monitor eye health conditions over time. If needed, dilation of the pupils is performed to provide a better view of the internal structures of the eye. 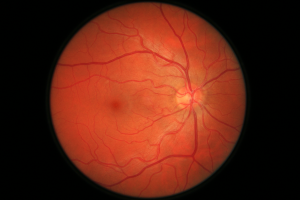 In an effort to provide a more thorough eye exam, we now offer OCT retinal scan in addition to retinal photography. These tests will be performed by the assistant prior to the examination by Dr. Jacobs. He will review the results of the test with you during your examination. Digital imaging is fast, easy and comfortable. 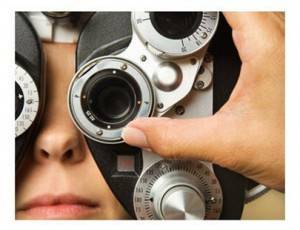 Special Testing may be required to fully assess your vision or the health of your eyes. One example is corneal topography which is a non-invasive corneal imaging technique. This is a valuable tool for contact lens fitting and can also document a variety of corneal changes such as keratoconus. 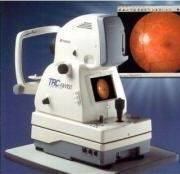 Other special tests that may be performed include visual fields testing which measures your peripheral vision and is helpful in detecting, diagnosing, and monitoring conditions such as glaucoma and a variety of neurological disorders. For more information regarding additional tests available see management of ocular diseases.